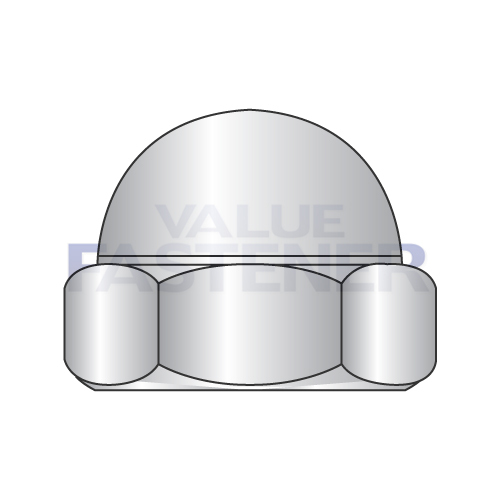 Cap Nuts are used to cover exposed threaded stud, rod and bolt ends with a dome-like cap. This provides safety and a finished look to the exposed threaded end. We offer cap nuts in both open end and closed end, along with washer based cap nuts. Value Fastener offers 4 types of Cap Nuts; Closed end cap nuts, Closed end Cap Nuts-washer based, Open end cap nuts, and open end cap nuts washer based. Our cap nut sizes range from 4-40 all the way to 1-8. Cap nuts come in 18-8 stainless steel and steel with various finishes.